Description Best Choice for: Good first driver, roller disc, tailwind driver, narrow woods driver, first distance driver, downhill distance, long turnover drives. About the Roadrunner: The Roadrunner is a long-range distance driver with lots of glide. It makes an excellent finesse driver or long range roller. 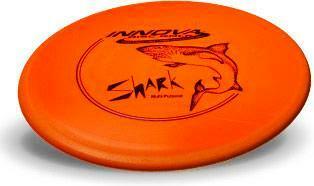 Power throwers can use this disc for long turnover shots and rollers. 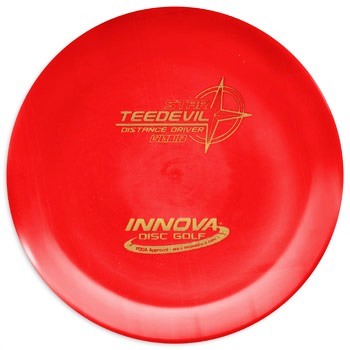 Less powerful throwers can use this disc for long, straight shots or low tunnel shots. Good Distance Driver for turnover shots. 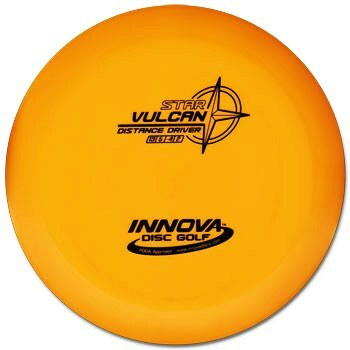 About Champion Plastic INNOVA’s Champion Line is produced with a unique plastic that provides outstanding performance and durability. 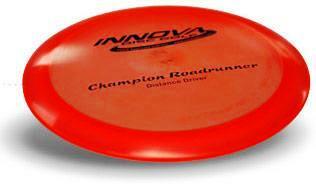 Champion discs are distinguished by a clear or pearlescent plastic. Our Champion Line discs retain original flight characteristics for an extended period of time. Whether used in heavily wooded situations, or on extremely rugged courses, Champion Line plastic will continue to perform predictably and avoid damage better than any other plastic. 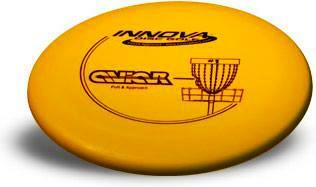 Originally designed for professional players, Champion Line discs can handle the increased power of top level players.